"I love weddings... drinks all round!" From offering a simple meet and greet service as guests arrive at reception, to acting as Master of Ceremonies or even walking the bride down the aisle, Simon has done it all. 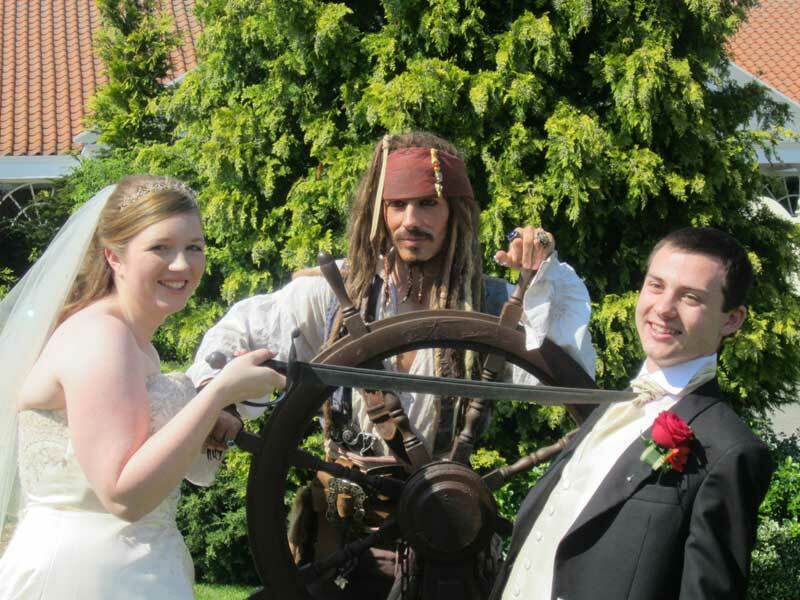 With Captain Jack's universal appeal, he offers entertainment for everyone young and old!